Products and services are considered to be white-labeled when they are produced by one company and sold to the end user under the brand name of another company. These products and services are called white label because of the white packaging label that can be filled in with another company's logo. Businesses tend to use white-label products when they don't have the internal resources to produce these products and services on their own. Using white labeled products and services allow for companies to provide a more comprehensive range of products and services without compromising their own name brands. 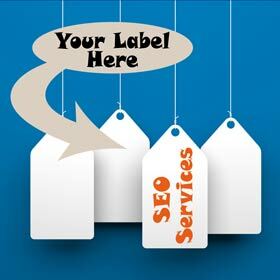 When it comes to online marketing, marketing professionals can use white label SEO companies to enhance their marketing results while conserving their internal resources. Businesses that take advantage of white label marketing services are able to focus their internal resources on their core competencies. Companies that ignore these services are forced to designate a portion of their workforce toward SEO related tasks. Therefore, companies that use white label marketing have a slight business advantage over those that don't. In recent years, many small companies are using this technique to level the playing field between themselves and larger firms. Small business owners have begun to view white labeling as a way of expanding business. Moreover, since the marketing efforts are white labeled, firms are able to ensure the level of quality of their SEO services. White label SEO services are experts at creating well written content to suite their client's particular needs. In many cases, these services are able to bring your client's keywords to the top of the search engine results. Higher search engine positioning will give your client's business instant credibility. Moreover, many white label services will track and monitor the results of their work in order to ensure a high performance. On and off page strategies are employed to ensure the best results. You don't have to be a marketing genius to be able to use this as a strategy. Once these services are in place, you can have the appeal of a seasoned SEO veteran. Your white label marketing firm can act as a private employee specially trained to handle the technical marketing aspects of your particular product or service. When leveraged correctly white label SEO marketing services can be used to create a passive income for your business, and to attract new clients. If you are interested in white labeling SEO, I recommend a company called Agencyplatform that I've worked with several times. But of course, you can do your own research to find a company that will best suit your needs. Ralf's comment: Thanks for offering this topic, Nicole. Using white label services is an excellent idea for small agencies or solo-consultants. I'm in the agency and consulting business myself, and I can clearly see: there's only so much you can do with a small team. Mostly out of fear we don't want to leave money on the table, so we offer every marketing service the customer desires, and more. But there is NO WAY a small agency can provide a variety of different services and deliver excellent results in each of them at the same time. If you're great at building WordPress sites, you can't be a world class SEO expert at the same time. If you're a world class SEO pro, you can't build truly profitable PPC campaigns for your clients at the same time. Each of those are full time jobs! In other words: if you add those offers to your services without adding the professionals to deliver, you're doing your client a massive disservice. That's why the only ways to add new services (responsibly and with integrity) are to add new employees to your team, or to team up with external professionals, like white label SEO services.